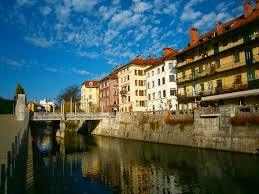 Cheaper Car Hire in Slovenia - Compare Minivan, SUV, MPV and Estate Rentals for Slovenia. Compare cheaper car hire in Slovenia. Get SUV, MPV, minibus, station wagon and estates, all with GPS as an extra, if needed. When booking in advance with us, you save money on the normal rates you would get if booked direct. We have discounted rates with international companies like Avis, Budget, Europcar and Sixt, as well as good local suppliers like Avant and ATET Rent a Car. All offer cars at the airport, and a fuel policy of get full, return full. If you are touring by hire car then stop off at Piran or Koper, both good examples of medieval towns with Gothic buildings, both lie on the Slovenia Adriatic cost line. With so much to do and see a hire car in Slovenia is recommended to really appreciate this beautiful country. Free amendments and no cancellation charges, unless pickup within 48 hours, plus the benefit of fully inclusive rates and low daily prices. Get GPS, ski racks, snow chains, child seats and extra drivers can be added, as you go through the booking process, but are paid for locally. Our prices come with no hidden fees and all the benefits expected, including complimentary breakdown assistance, fully comprehensive insurance and unlimited mileage. To book in Slovenia all you need is a current driving license issued in your home county and a credit card for the local security deposit. It occupies a short coastal strip on the Adriatic, with an alpine mountain region and shares borders with Italy and Austria. Slovene is the official language and there are just over two million Slovene people living here. gained independence from Yugoslavia in 1991. Joined the EU in 2004 and the Euro in 2007. The dialling code is +386. Cars are left hand drive, so drive on the right. The main religion is Catholic. This is Slovenia's capital and oozes character with its own medieval castle resting on a nearby hillside. The old town with its remnants of Roman architecture can be easily enjoyed on foot with lots of open air cafes should you need a shot of espresso. We offer cheaper motoring costs in Slovenia. Driving an SUV or MPV in Slovenia made easy. Budget prices on offer if book early for Slovenia. 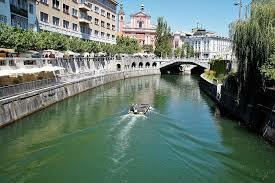 To explore this old and historical city you can get car hire from Ljubljana Airport to make your trip comfortable. 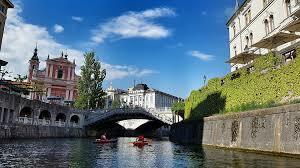 Slovenia was once apart of Yugoslavia and is now flourishing as a tourist destination. This small Balkan country offers the active holidaymaker, some first class skiing, alongside peaceful summer lake resorts, such as Lake Bled. This mountain hideaway is a picture perfect Alpine village lake resort, with a countryside that is rich in natural beauty and fauna. Most people explore the surrounding countryside on skis, or by foot, or by bicycle. Bikes can be rented cheaply locally. Most holiday goers arrive via Ljubljana's international airport, or via a memorable train journey through the Alps, from neighbouring Austria or Italy. Perhaps looking for a deal in Slovakia?